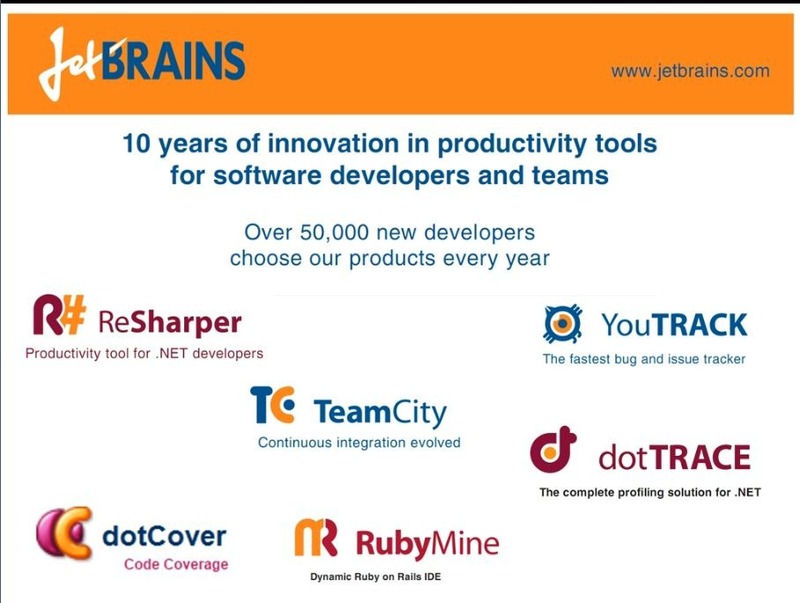 It is a an exciting time to be a web developer. 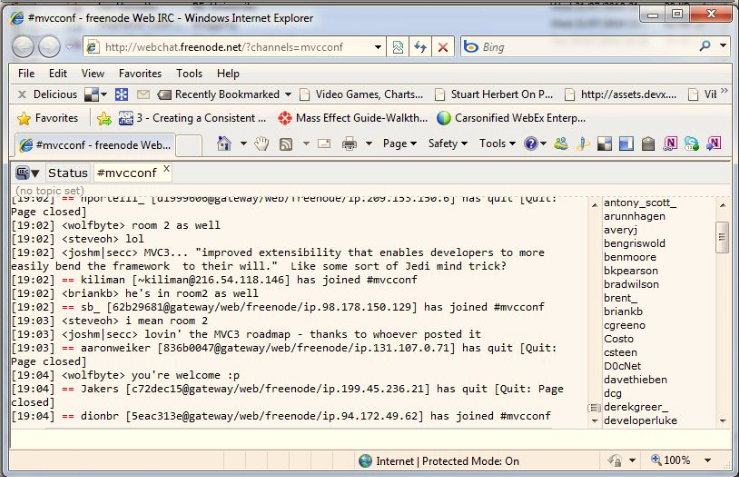 There are lots of new technologies from Microsoft coming out for the browser (IE9 changes everything), in the area of tooling (the brand new WebMatrix) and for the server – with ASP.NET MVC 3 Preview 1 released today (27th July 2010). 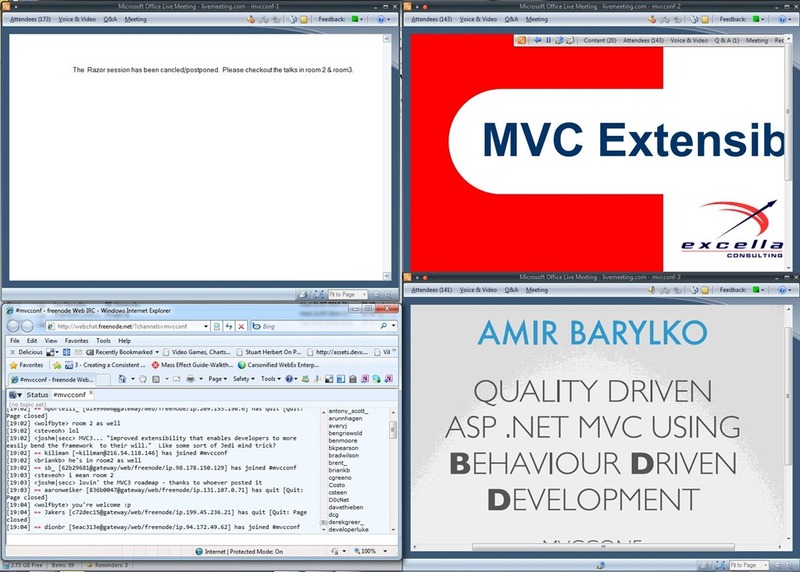 If you have Visual Studio 2010 (The FREE Web Developer edition is fine) then you can safely download ASP.NET MVC Preview 1 (download + install takes a few minutes). ASP.NET MVC 3 is designed to be installed side-by-side with ASP.NET MVC 2 which means you can install today’s Preview 1 release on your machine without it impacting existing MVC 2 projects. 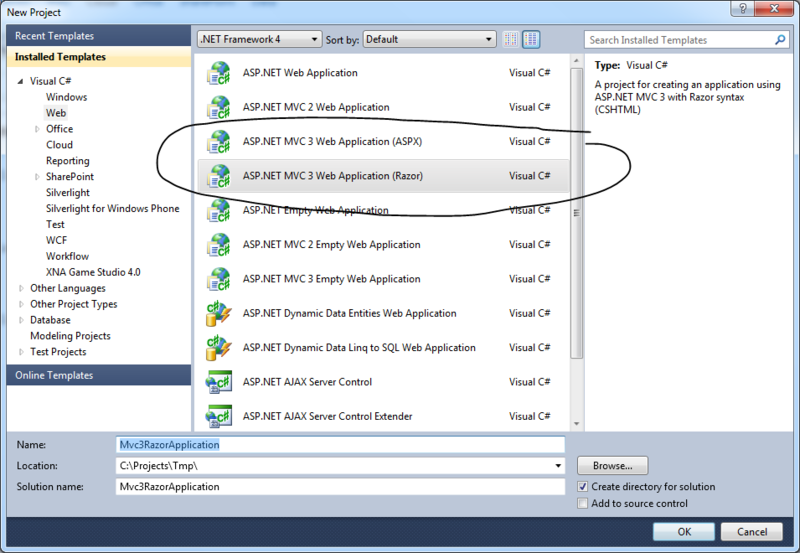 Once installed you will have a new set of ASP.NET MVC 3 project templates show up within Visual Studio 2010’s “New Project” dialog. Preview 1 is about getting feedback. 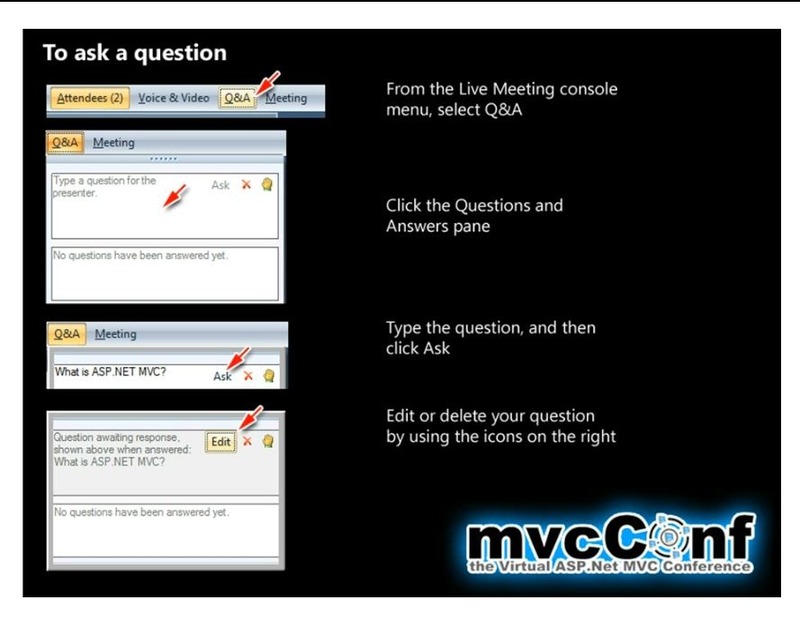 Post your feedback and any bugs/issues you find to the ASP.NET MVC forum at http://forums.asp.net. Thank you. 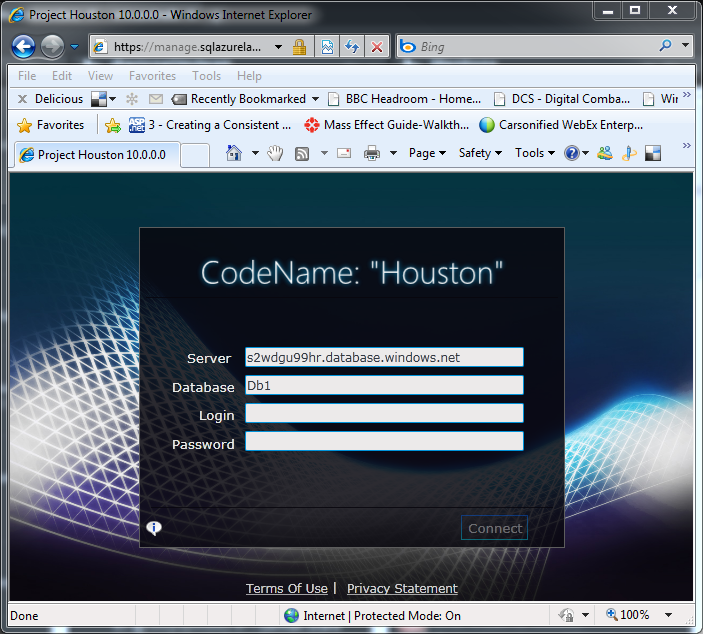 CTP1 of Microsoft® Project Code-Named “Houston” is now available. 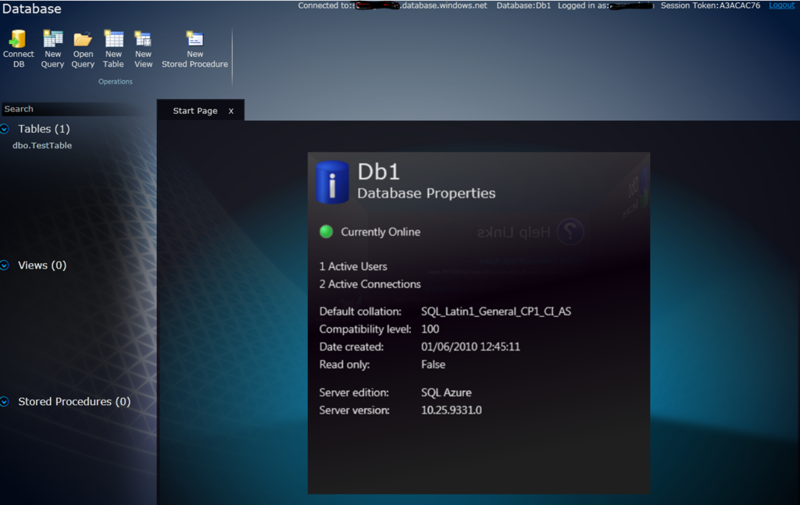 This is a lightweight and easy to use database management tool for SQL Azure databases. It enables you to swiftly develop, deploy, and manage data-driven applications in the cloud. Project “Houston” provides a web-based database management tool for basic database management tasks like authoring and executing queries, designing and editing a database schema, and editing table data. All implemented in Silverlight. Video – Tables – create and modify a table in an existing SQL Server database. Video – Queries – create, modify, execute, save, and open a Transact-SQL query. Video – Views – create, select, and modify views. Video – Stored procedures – create, select, and modify stored procedures. 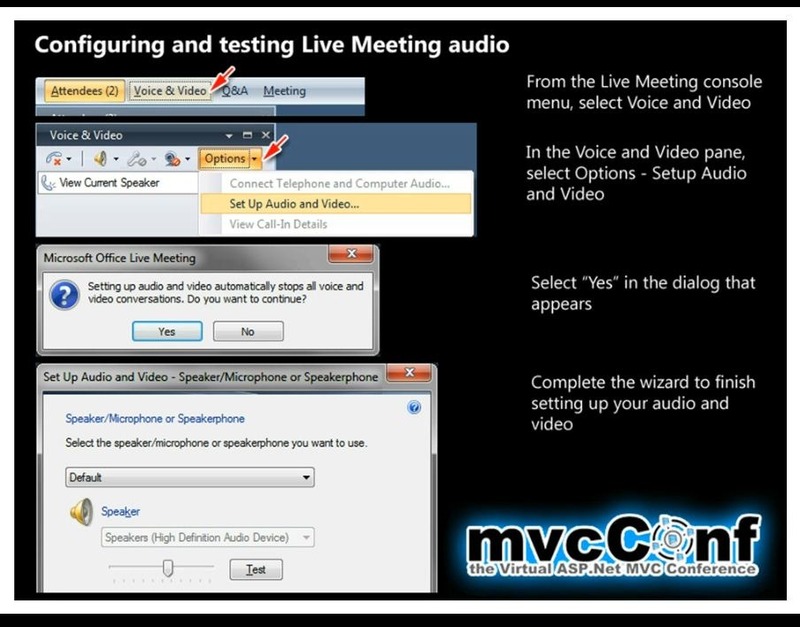 Yesterday (22nd August 2010) was mvcConf – “the Virtual ASP.NET MVC Conference”. 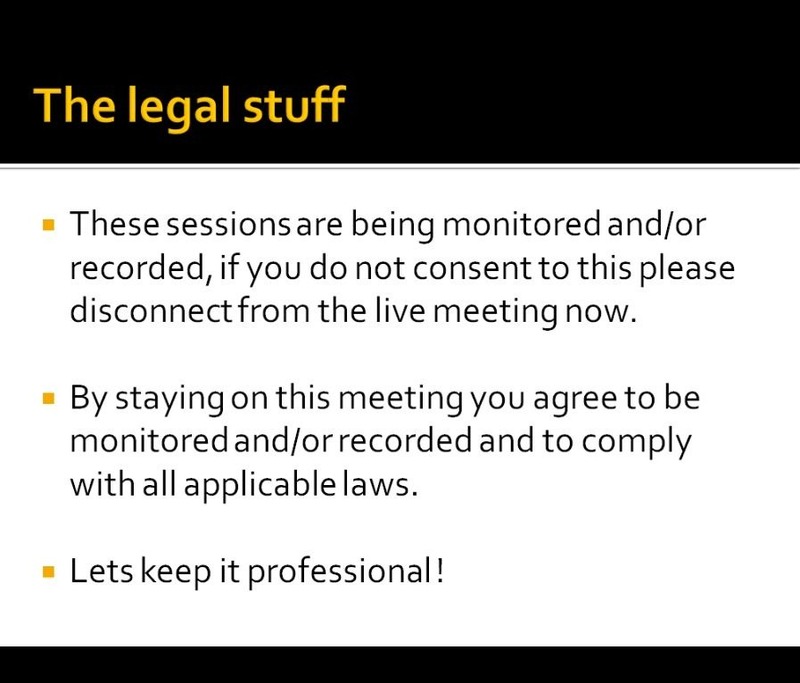 This was an ambitious undertaking by the community to deliver a three track, 20+ session conference for FREE using Live Meeting. And… it worked great. A big well done to everyone involved. It was particularly interesting to me and my team as we are hoping/planning to do similar online conferences in UK time around technologies such as the Windows Azure Platform and Windows Phone 7 – and attending yesterday gave me the confidence that we are on the right track. Three tracks, great mix of sessions, no excuse to be bored! 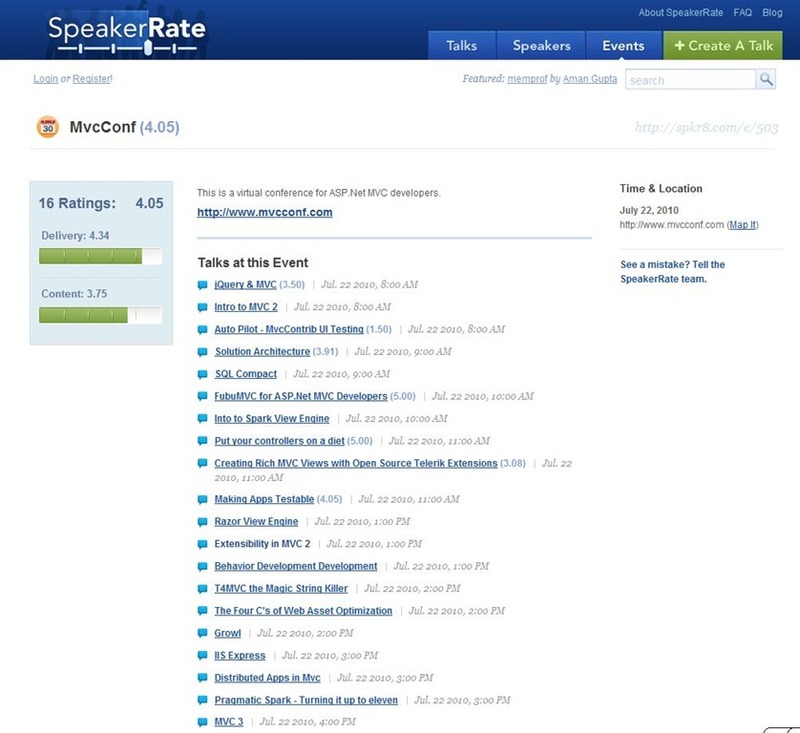 All sessions can be found at http://speakerrate.com/events/503-mvcconf. Alas only 78 ratings so far which is a shame. Rate them now! IRC is my fave “chat thing” and is too often overlooked. The interesting thing about the Windows Azure Platform is there is never a shortage of new stuff to explore. You can either manually select the operating system that you want to have deployed to your nodes via a drop down box or allow automatic mode to upgrade to the latest operating system as they are released. Not sure I mentioned it before, but Windows Azure Platform Training Kit got a June update. The kit contains 15 Hands On Labs, 15 Presentations and Videos, 21 Demos, 3 Samples and Tools. Download the Training Kit here. Cloud Computing: A Guide for IT Leaders this is an online resource for business and technology leaders interested in the cloud, Windows Azure and BPOS.